One of the most prolific nature photographers of our time, Thomas Mangelsen is as much an artist as he is a conservationist. 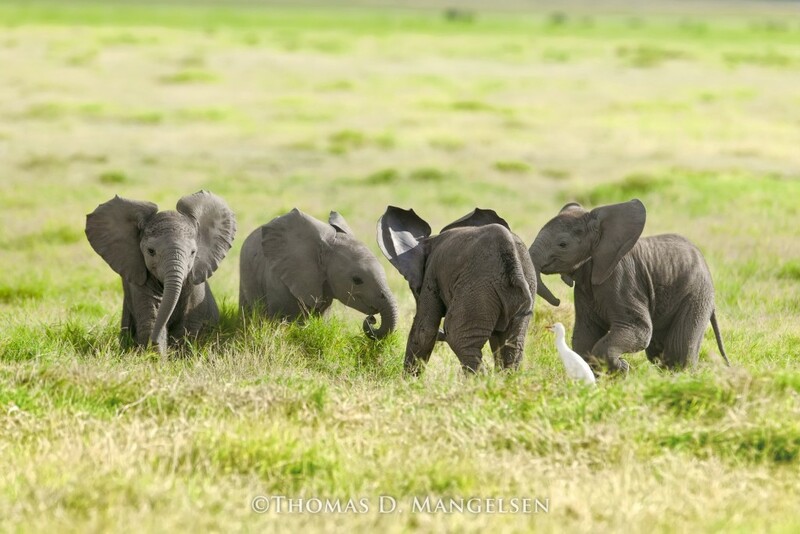 Tom was named the 2011 Conservation Photographer of the Year by Nature’s Best Photography, placing his work in the permanent collection at the Smithsonian’s National Museum of Natural History in Washington, D.C. 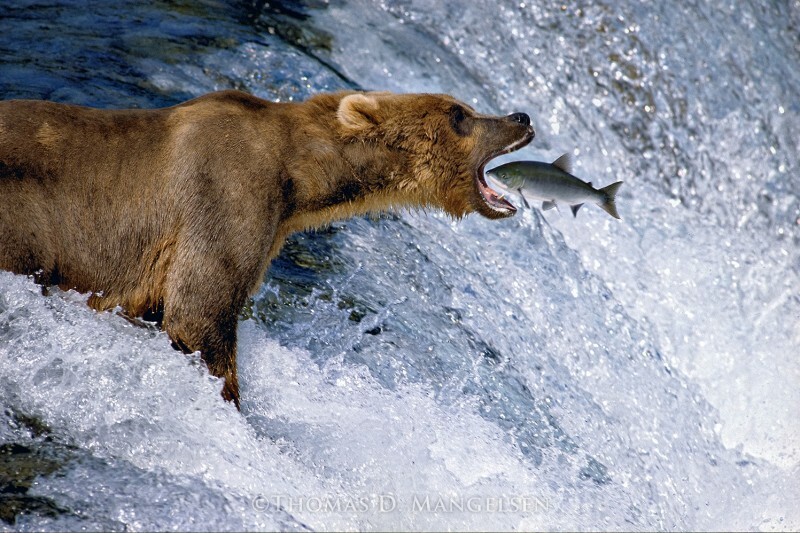 He was named one of the 40 Most Influential Nature Photographers by Outdoor Photography. His image Polar Dance was selected by the International League of Conservation Photographers as one of the 40 Most Important Nature Photographs of All Time. Tom was chosen as one of Dr. Jane Goodall’s Heroes of the Animal Planet and profiled in the television series of the same name. Mangelsen was named one of the 100 Most Important People in Photography by American Photo magazine and honored with Nikon’s Legend Behind the Lens recognition. The North American Nature Photography Association named him Outstanding Nature Photographer of the Year. Mangelsen has received the prestigious British Broadcasting Corporation’s (BBC) Wildlife Photographer of the Year Award. Visit mangelsen.com | Watch: Mountain Outlaw. This is the first time Thomas Mangelsen will be releasing a rhino portfolio, a world exclusive in collaboration with writer Jamie Joseph, founder of Saving the Wild. Locations: andBeyond Phinda Private Game Reserve, and other locations TBA. Objective: In these relentless rhino wars, world news is consumed with what is not working. We’re flipping that on its head and focusing the lens on what is working, and what still needs to be done. Tom and Jamie are visiting the best of the best to document and share success stories on what it really takes to protect rhinos. Read: Phinda – rural communities are saving rhinos. By carrying out translocations and diversifying rhino nucleus nodes, andBeyond is playing a fundamental role in securing the ongoing survival of endangered species. Rhinos Without Borders aims to increase Africa’s dwindling rhino populations for future generations to enjoy. The Okavango Delta has proven to be a successful rhino relocation habitat and Botswana has a strong security and monitoring framework in place, with the country’s military helping to protect the endangered species. Rhinos Without Borders conducts a daily monitoring programme to keep a close eye on the health and safety of the rhino that the project has translocated. Catch of the Day. Legacy photograph, out of print. Legacy collection to be released in 2017, numbered 1 to 20. 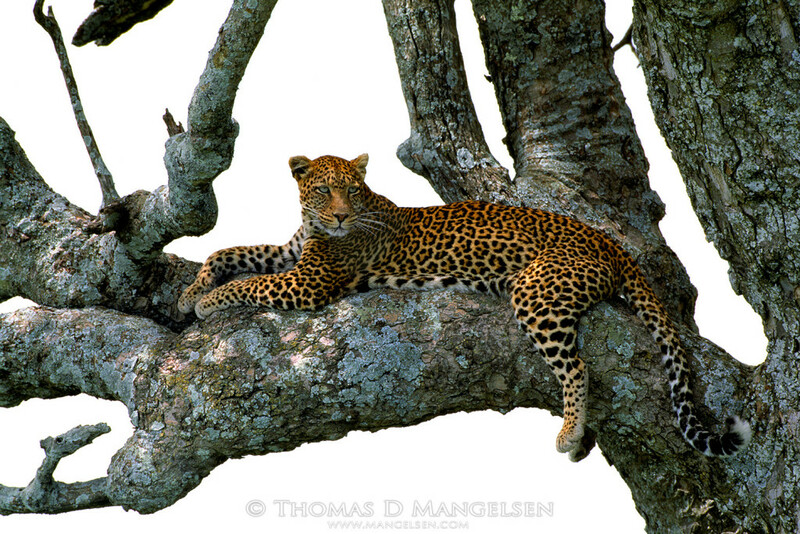 A Thomas Mangelsen legacy print to be donated to Saving the Wild. Saving the Wild’s mandate is to expose and eradicate corruption enabling wildlife poaching, and empower communities bordering wildlife areas to be guardians of wildlife. While rhino poaching is out of control in KwaZulu-Natal, with a record high of more than 160 rhinos poached in 2016, Phinda continues to protect its territory, with minimal loss and multiple arrests and convictions. 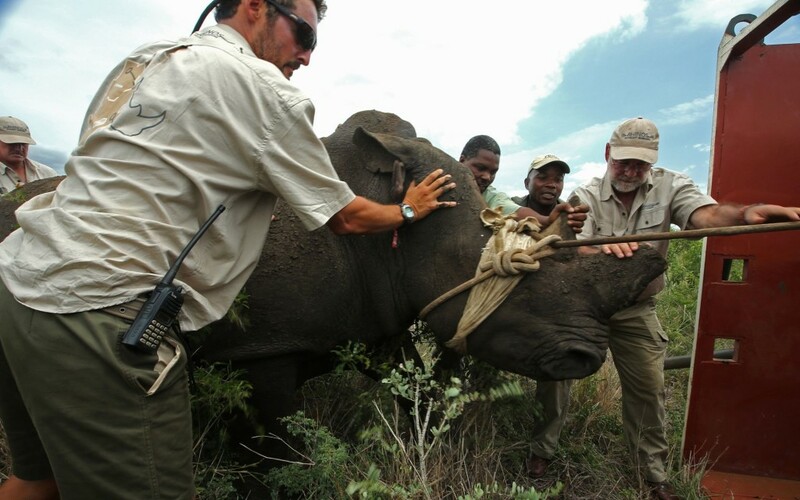 Rhino Conservation: Over the past 20 years andBeyond has been involved in the conservation of endangered rhino. andBeyond Phinda Private Game Reserve has been largely successful in this endeavour, and is rated by the African Rhino Specialist Group as one of the most important private white rhino reserves in the country. Black Rhino Range Expansion Project: andBeyond Phinda Private Game Reserve was the first reserve chosen to be part of the Black Rhino Range Expansion Project – 16 black rhino were relocated to andBeyond Phinda in 2004. The aim of the project is to increase the population of black rhino in KZN, and since the relocation to the Reserve, the population has continued to flourish and grow. Rhinos Without Borders: andBeyond Travel and Great Plains Conservation, two leading conservation and tourism companies, have teamed up to translocate 100 rhinos from South Africa to safer havens in Botswana.